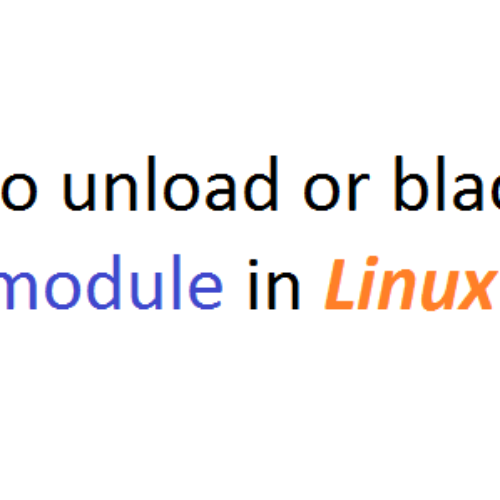 When you are starting to learn Linux programming or Device driver development, then the first thing you need is the Linux Kernel which is available in a zipped archive format from kernel.org. Sometimes I just download the kernel to browse source code of some modules. 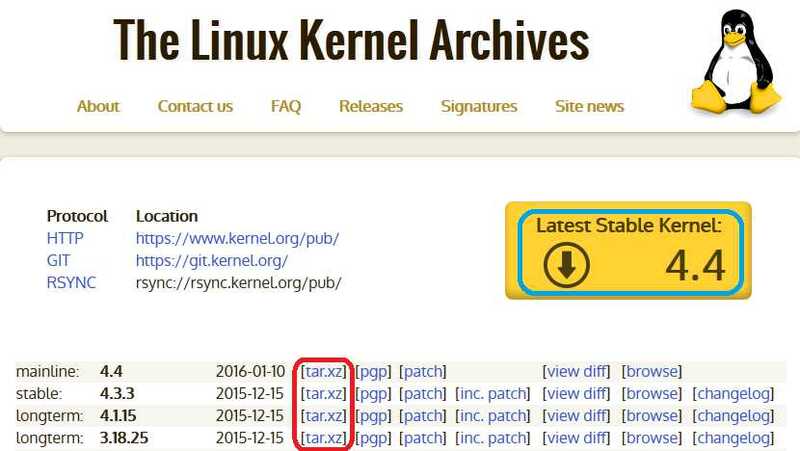 How to download the Linux kernel source? You just go to kernel.org and download the desired kernel required to you. You can download the latest stable Linux kernel which will be highlighted in big on the website or else you can download any other earlier long term Linux kernel version. 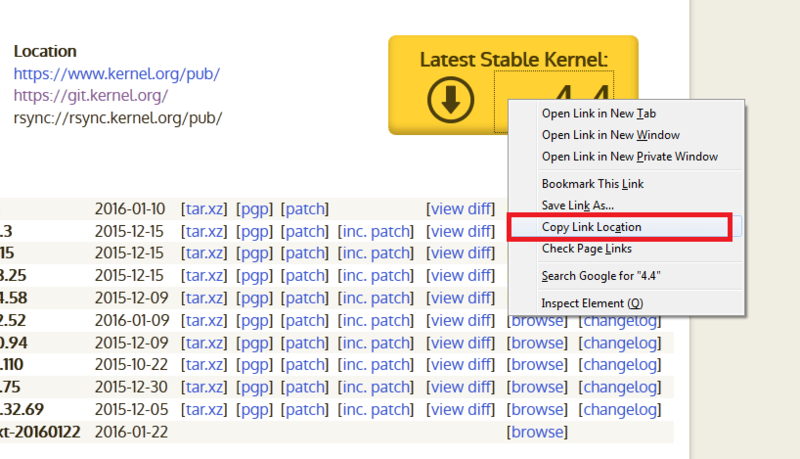 Have a look on the below image where I have highlighted the latest stable and older long term kernel download links. Use the [shift + insert] key combination to paste the copied text into the console. The download may take several minutes depending on the system’s internet connection where you are downloading. Now that you have downloaded the linux kernel archive which is in a zip format and needs to be extracted or unpacked. Lets say if the downloaded file is at ~/Downloads/linux-4.4.tar.xz (I am taking an example of the latest 4.4 kernel). We will make a new directory (say kernel-src-4.4) inside /usr/src and move the new kernel archive file to the new location and start unpacking. After executing all the commands successfully a new directory (linux-4.4) would have already created in the /usr/src/kerenl-src-4.4 location. Previous What's an Operating system & why do we need one?